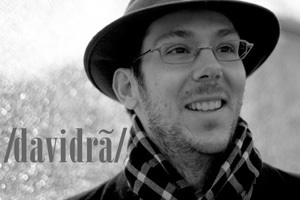 Ce site est la version 2.1 de davidranc.com. L'ancien site est disponible ici. Je maintiens aussi un blog qui est mon journal visuel, et où je m'efforce de publier au moins une photo par jour sur: http://davidikus.blogspot.com/. Un CV universitaire est disponible ici, sur la page dédiée à ma recherche. * Portraits collectifs pour le projet caritatif "What took you so long?" This website is version 2.1 of davidranc.com. The old site is available here. I also maintain a blog, which is my visual diary and where I strive to publish at least one picture a day on: http://davidikus.blogspot.com/. An academic CV, including publications is available here on the research page. * Group photographs for the "What took you so long?" foundation. * The Mays 15, 2007, graphic design of the whole anthology and photographs. All promotional material for the book, including flyers, posters, invitations used the photographs and the graphic design for the book. * Oxbridge Academic brochure 2008. Photos. * The Hidden Hall, edited by Peter Pagnamenta and published by Third Millenium Publishing (London) in 2004: Fellows' Garden, page 104; Gate, page 104; Stained glass window in the antechapel, page 139; North Court, page 203. * Oxbridge Academic brochure 2007. Photos. * World creation of Wetmarsh College or, Dr Middlebottom, a musical by Mark Wainwright & Roland Anderson, ADC Theatre, 7-12 February 2005. All the promotional photographies, including flyers, posters, programs, photographs in the Lent Term 2005 program of the ADC theatre. * Varsity, weekly newspaper, Cambridge: Friday 29 April 2005, picture of the victorious CUWBC boat on the last page. * The Cambridge Student, weekly newspaper, Cambridge: Thursday 28 April 2005, illustration of the article 'Cambridge men lose Boat Race, but women come out on top'. * Poster for the Development squad, Cambridge University Women Boat Club : the Blue Boat with the trophy. Dr David Ranc PhD (Cantab) is a published photographer, photography teacher at Oxbridge Academic, web designer, French teacher, Research Consultant (head hunter) with Boyden Executive Search and Interim Management, and also one of the co-founders of Sport&EU, the Association for the Study of Sport and the European Union. 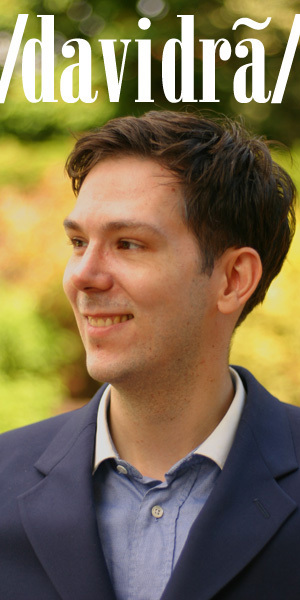 David Ranc has been described as "Dr David Ranc, BA Université de Paris X, MA Sciences-Po, MPhil, DPhil Cambridge. A published photographer, accomplished web designer, and experienced French teacher, David wrote his dissertation on the sociology of soccer fans. He has rowed for Trinity Hall Boat Club and the Cambridge 99s, as well as for clubs in Paris. He is also a member of the Cambridge University equestrian team." David Ranc was also described as a doctoral student at the Centre of International Studies (Cambridge) where he works under the supervision of Dr Geoffrey Edwards (Pembroke). He was a visiting fellow, sponsored by the Wiener-Anspach Foundation at the Université Libre de Bruxelles in 2005-2006 and holds an MPhil in European Studies (Cambridge, 2001), a diplôme de l'IEP (Sciences-Po, Paris, 2000) and a Licence d'histoire (Paris X, Nanterre). His PhD research was entirely funded by his college, Trinity Hall. David Ranc PhD (Cantab) est un photographe français habitant à Londres, professeur de photographie pour Oxbridge Academic Programs, web designer, professeur de Français, consultant chercheur pour Boyden Executive Search and Interim Management, et aussi l'un des co-fondateurs de Sport&EU, the Association for the Study of Sport and the European Union. David Ranc est docteur en Etudes Européennes de l'Université de Cambridge (Trinity Hall & Centre d'Etudes Internationales), a un Master en Etudes Européennes des mêmes institutions, un diplôme de l'IEP de Paris (Sciences-Po), et une licence d'histoire de l'Université de Paris X-Nanterre.